Home Home Media How to block Fire TV updates (unrooted)? What can you do to ensure your custom mods continue to work – block Fire TV updates. 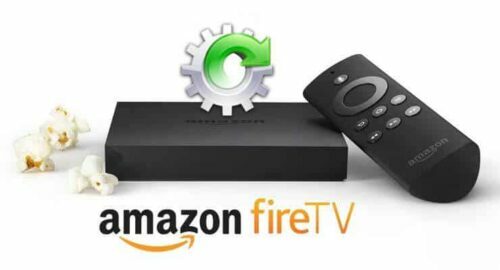 The primary reason to disable Fire TV auto updates is to ensure that your rooted Amazon Fire TV stays rooted as software updates typically tend to wipe out root. However, there is another reason to strongly consider blocking Amazon Fire TV firmware updates: continue to use sideloaded Kodi entertainment center. But what if you were one of the unlucky ones that have the software version 51.1.2.0 or later that does not allow rooting? Read on to find out how to block Fire TV updates on an unrooted device. Update (August 28, 2015): Some have reported that this method may not work. I recommended following this guide as well as our recently published guide on blocking Fire TV Update with DNSMasq. Both solutions can be implemented at the same time. Why should you block Fire TV updates? So if you have a Kodi media center setup and working well on your AFTV, then you may want to disable FireTV software update. Also, your Fire TV box may be unrootable right now but you can increase the chances being able to root in future by keeping your software as old as possible. The method described here works for both rooted and unrooted Amazon Fire TVs. But this is the only method for unrooted AFTVs to block automatic updates. 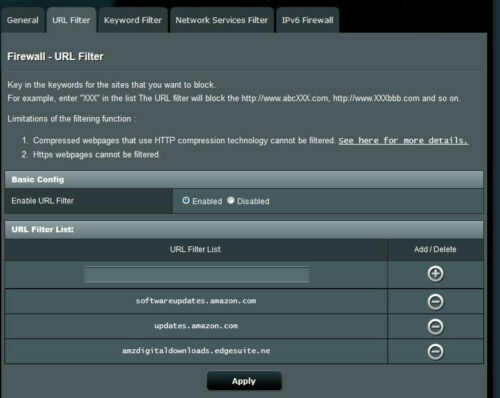 In essence, this method involves setting up a firewall on your home router to block all access to domains that serve the FireTV firmware update. 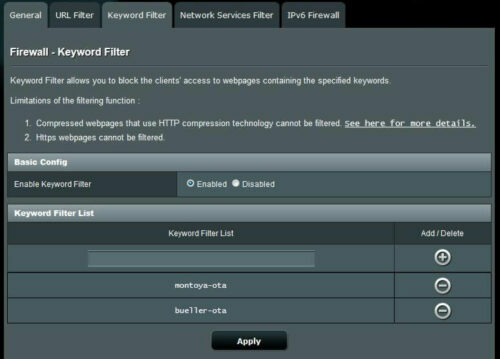 This guides shows how to accomplish this on ASUS Routers. Process is similar on other devices but you may want to read related guides at AFTVNews. First open your router configuration page, typically http://192.168.1.1 from your local network. Click on Firewall -> URL Filter and add the following 3 domains. Amazon Fire TV updates will wipe out root privileges and in future may potentially disallow sideloading apps such as Kodi. With some of these best Kodi addons, you can take your AFTV to the next level. So don't hesitate to block Fire TV updates. If an Amazon fire TV software update comes out in future with significant improvements, wait for a few days and read some forums to ensure that it does not disable sideloading the apps that you want. Then temporarily remove the URL filter and Keyword filter on your router, update your Fire TV, and then re-enable the firewall filters. While some people have reported that few apps encounter errors with this method of disabling FireTV software updates I am yet to run into any problems. So go ahead, block Fire TV updates and ensure that your sideloaded Kodi on Amazon Fire TV continues to work.